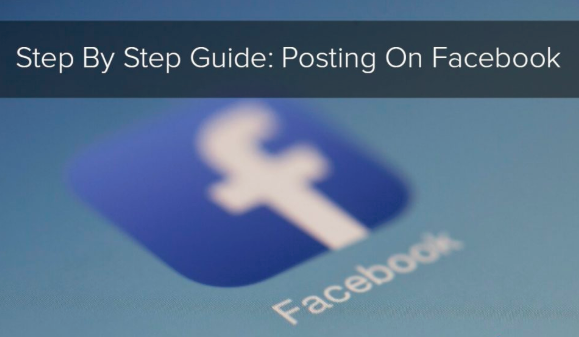 This I instructs you Make A Facebook Post, both in the mobile application and on the Facebook site. posts could have text, images, videos, as well as area data. You could publish on your own page, a friend page, or on the page of a group that you're a part of. - If you aren't visited, enter your e-mail address (or telephone number) and password in the top-right side of the page. - a friend page - Click the search bar at the top of the display, type in a friend name, click their name, then click their account photo. 4. Include text to your post. Type your content into the post box. You can also include a colored history by clicking among the color blocks listed below the text box. -Photo/Video - Permits you to choose an image or video from your computer system to submit to the post. -Tag Friends - Allows you to select a friend or team of Friends to identify in the post. Tagged Friends will get the post on their own pages.